With the release of the hangover part 3 at the movies in Australia last week and channel 9 revisiting the first film this week - it all sparked up some ideas about bucks nights, ideas for what, and what not to do, when planning the groom's "last night of freedom"!! Here's our step by step guide of how to throw a bunch of mates and a bunch of bucks party ideas together to create the perfect bucks party! There's a lot of ideas to choose from in order to formulate the perfect Bucks party. First thing on the list is the list! Consider all of the guests that the groom would want to take with him on his last night of freedom! I think that tradition says anyone invited to the bucks would be at the wedding, but with a rise in destination weddings and small intimate celebrations with only close family and friends that this may not be the case for everyone. So, you have your guest list, whether you know everyone on the list or not, being appointed organiser means that you should have a pretty good idea about the buck, what his hobbies are, what he's into and what would be out of bounds! Always good to know the line not to cross after all this is about the groom having a good time with his mates before he gets married. Considering the groom, the next thing to do is choose the bucks event! There are hundreds of options available from fun bucks activities in the day to wild bucks nights out or even a low key dinner! You will be the best judge of what will suit your groom and his bucks day guest list. Don't forget that most couples tend to do their celebrating on the same day so the girls might be out on the prowl on their Hens Night, make sure that you find out as much as you can about their hens party ideas so that you don't bump into them on your boys night out!! Here are some of our latest bux ideas, and of course we have put together some designs for your bucks stubby holders to match...! If your buck is a thrill seeker and would love the idea of whizzing around a race track, then this is perfect bucks idea for you! This is a good way to start the day and then head off to a bar or club to celebrate! Maybe you could print a few bucks challenges on your stubby holders for good measure! 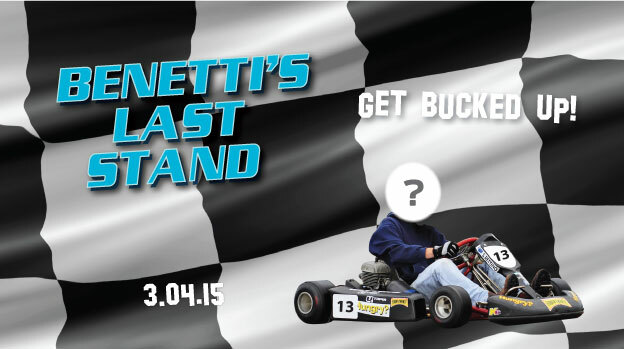 Rev it up on a Go-Kart Bucks day - and then live it up in the city afterwards! Grab a couple of your golfing mates and book yourself an afternoon tee off time, best way to spend a bucks afternoon - maybe you will set up some additional bucks games along the way - 18 holes, 18 Challenges etc ... don't forget that we can print your golf score cards (or shot counter) onto your bucks stubby holder! We three horse racing stubby holders to choose from. Of course you may like something a bit more racy in another sense - and we've got heaps of options there too!